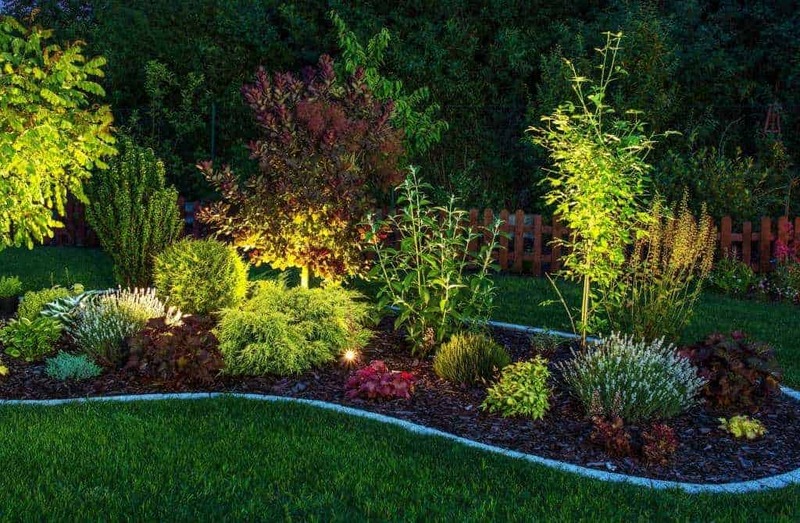 Landscape lighting adds dramatic elegance to your home and surrounding landscape. 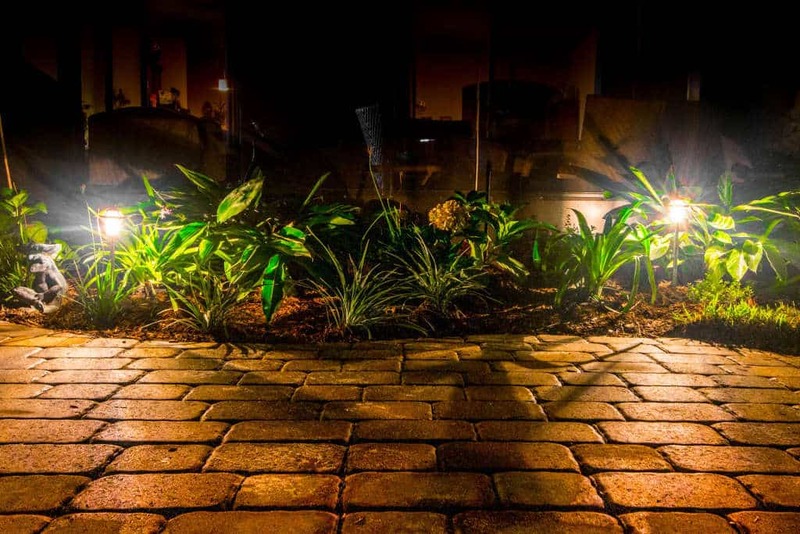 Rowanoak Outdoor can transition the look of your home from day to night. 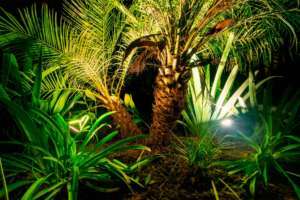 We use the finest landscape lighting products and latest technology available in outdoor lighting fixtures and accessories. 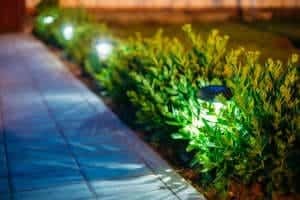 A meeting with our outdoor lighting professional who can further assist you during your consultation. We can help you in choosing the color, textured finish and style of your outdoor light fixtures to best fit your desired look. 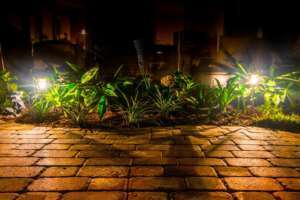 The bulbs as well as the fixtures have a color which can enhance the effects of your outdoor lighting scheme. 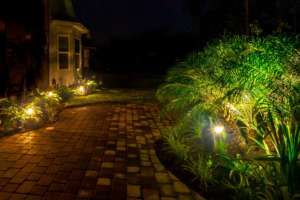 Because negative or dark space is also important the number of overall, task and accent light fixtures effect your particular landscape lighting design as well as cost. The cost of your landscape lighting packages are determined by number of fixtures, type and manufacturer of fixtures, and type of lighting bulb. While halogen are less expensive than LED, they use more wattage and therefore more electricity. Vista, Kichler, Hinkley are a few of the lighting fixtures we use. Rowanoak Outdoor is a dedicated landscape design company in Jacksonville Fl. 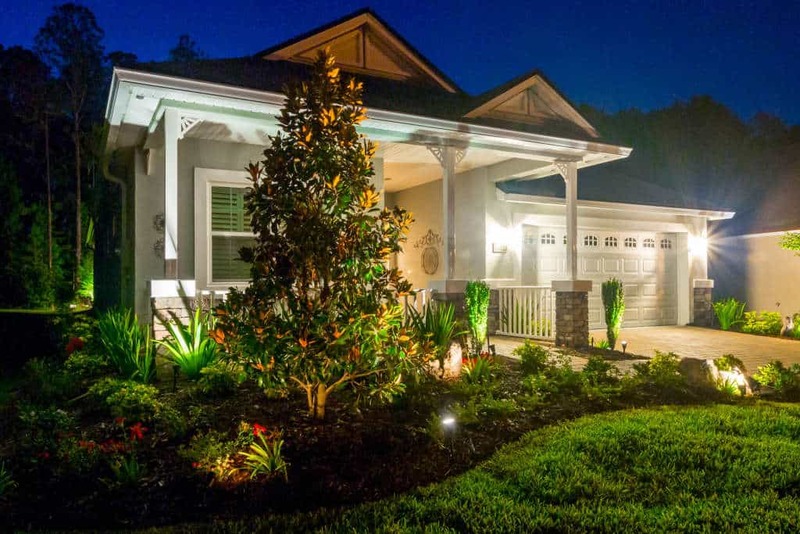 We love what we do and feel everyone should have an outdoor living space they can enjoy. Because of our philosophy we install a wide range of outdoor lighting packages to fit most budgets.